I am out with a friend at a Mexican restaurant one evening when the conversation turns to our mutual friend who is in a dysfunctional relationship and considering ending it. Between bites of chips, we discuss the ways it’s so completely obvious it’s over. By our second round of margaritas we are talking as if we are the lesbian relationship geniuses of the world. It hits me, with a mouth full of guacamole, just how judgmental we’re being. Of course it’s obvious in someone else’s relationship. I ask aloud, how many times have we stayed in relationships a year or more after they were over? We’re quiet a moment and finally agree that we need to stop with the judgement. What are some indicators that breaking up is the right thing? Here are 5 ways to know the relationship may be beyond repair and it’s time to move on. According to relationship coach and counselor Susan J. Eliot, author of Getting Past Your Breakup: How to Turn a Devastating Loss Into the Best Thing That Ever Happened to You, love shouldn’t cause you to lose things like sleep, friends, or focus on goals. All relationships take some work. But the difference between normal relationship work and an unhealthy relationship is loss. Once a pattern develops that involves losing things—a sense of ourselves, health, etc.—the relationship may have deteriorated into an unhealthy one and it’s time to move on. Pillars of healthy relationship are things like trust, loyalty, passion, intimacy, and a team mindset. When these pillars are absent, there are usually unhealthy relationship patterns that fill their place. 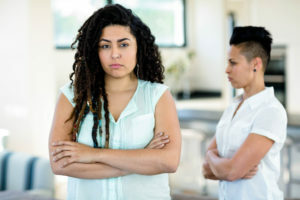 Signs of unhealthy relationships are loss of trust or a betrayal, one person is shut down or stonewalling, contempt is present, walking on eggshells is the norm, or there are signs of a toxic relationship like withholding or manipulation. A deal breaker has been broken. Deal breakers indicate what you will and won’t put up with in relationships. Some deal breakers are cheating, shutting down during conflict, punishing behaviors when a wrong is perceived, or financial instability. In relationships, typically when a deal breaker is cracked for either, it is a turning point—and often a sign that it’s time to let go. The relationship is no longer serving you. Relationships are two-way streets. But we get one life and given all that can happen that is out of our control, who we choose to be our person, may be the most important decision we ever make. Our biggest currency in life is our time. Who and how we spend that time demonstrates our values and either supports us to live our best life or drains from our life. In my experience, when a relationship is no longer serving my greatest good or hers, it’s time to let go. One person is unwilling to grow. While we should never have to change who we are to be in a relationship, part of growing in intimacy is learning about ourselves and continuing to grow and evolve into better versions of ourselves. In a relationship, both people have their own needs and their own experiences, yet these needs and experiences intertwine in a delicate dance that we call emotional intimacy. In my experience, it’s time to move on when either person in the relationship isn’t capable of growing in self-awareness and intimacy. All relationships have ups and downs. But when you have lost things, the relationship has devolved into an unhealthy one, deal breakers have been broken, the relationship isn’t serving your values, or one person is dug in and refuses to grow, it may be time to look at moving on. The key is to pay attention to patterns over time. To read more about healthy dating and relationships, check out Girlfriend 101: Getting Past the Baggage to Have the Relationship You Want or Girls’ Guide to Healthy Dating.